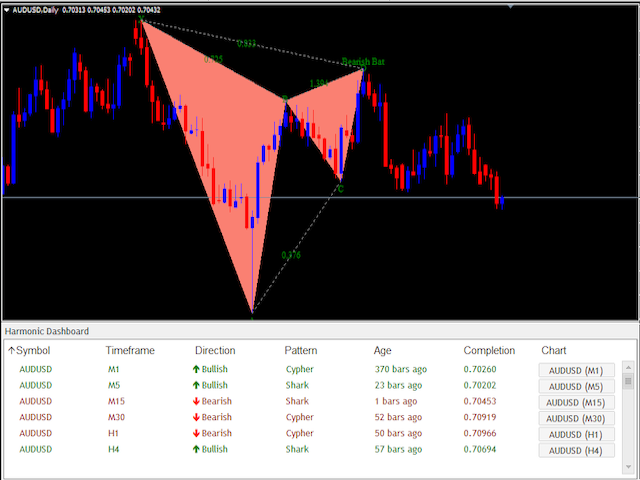 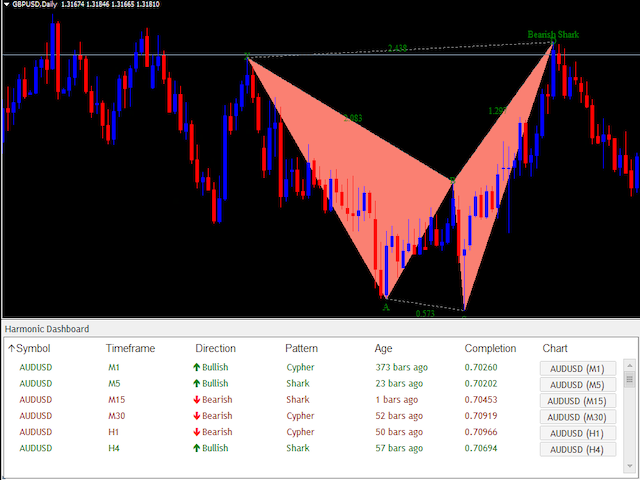 First, it will scan ALL currency pairs and ALL time-frames for the most effective harmonic price patterns. 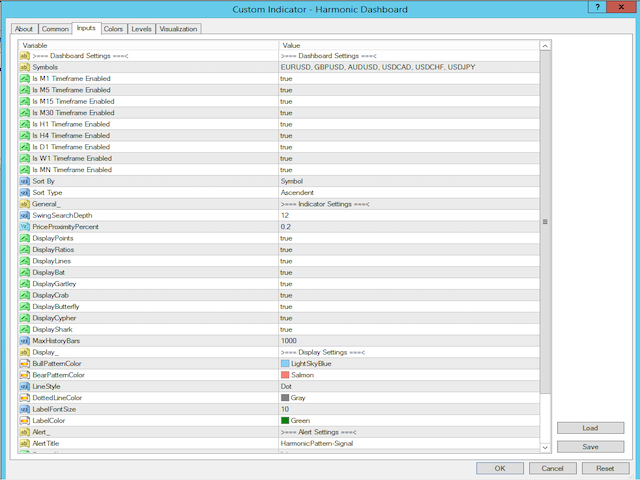 And all these calculations are done so fast – literally within seconds. 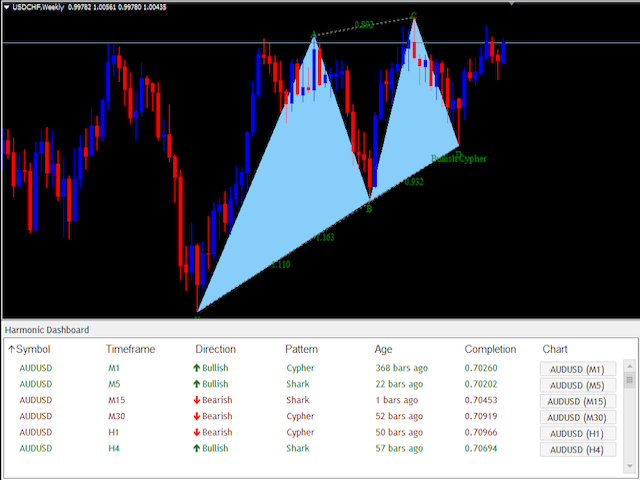 Once you see a pattern and pair you want to look at, simply click on the currency pair button at the far right of the dashboard and it will pull up the chart! 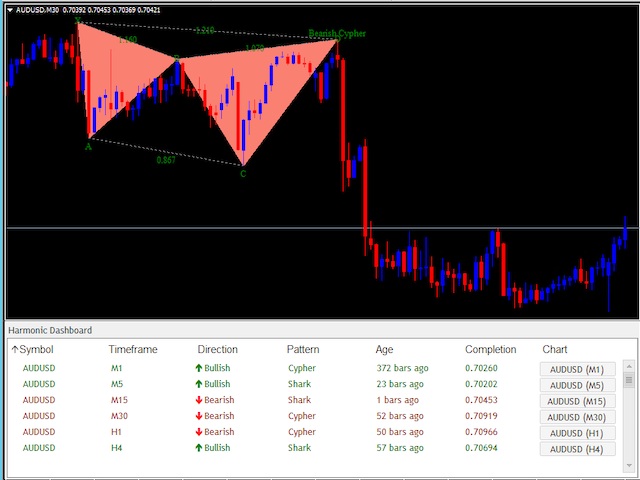 Sort by Symbol, Timeframe, Direction, Pattern, Age, Completion with just a click; ascending or descending.